Summer's over, but don't fret. Our five-part Ultimate Fall Golf Travel Planner will help you find the perfect destination for you and your crew. First up, buddies and bargains. Whether it’s college reunion time or just on the road with your regular Saturday foursome, the best buddy trips favor camaraderie over courses. Save the bucket-list layouts for another occasion. Instead, focus this season on fun—and value. If you’re on a budget, here are our three favorite destinations for an autumn outing with your best mates. The Beach Retreat: Myrtle Beach, S.C. It doesn’t take a travel guru to suss out what makes Myrtle Beach, S.C., the ideal buddy-trip stop. Start with the price tag. It’s affordable no matter the budget. And whether your group consists of single-digit sticks or once-a-month duffers, you’ll find seamless fits at multiple courses. The ease in booking tee times and hotels can’t be beat, thanks to a slew of packages, large and small. And when your 36-hole day has ended, a feast of eateries and nightspots await. MUST-PLAY (OLD SCHOOL) The Dunes Golf & Beach Club is a 1948 Robert Trent Jones Sr. creation that features the master’s signature runway tees, elevated greens, sprawling water hazards and heroic shot values, notably at the unforgettable 640-yard, par-5 13th, which doglegs 110 degrees to the right, around Lake Singleton. Double-bogeys and alligators lie in wait for any sliced shot. A stay at one of six member hotels will get you aboard this otherwise private club. MUST-PLAY (NEW BREED) Innovative designer Mike Strantz reached the apex of his brilliance in 1994 with Caledonia Golf & Fish Club. Lakes, wetlands, hardwoods and live oaks add beauty and menace to this shotmaker’s delight, a stern test even with its modest 6,526 back-tee yardage. An antebellum clubhouse and 18th hole that border an old rice plantation and the Waccamaw River complete a stirring scene. BEST 36-HOLE DAY Caledonia paired with its Top 100 You Can Play, Mike Strantz–designed sibling, True Blue, which is just five minutes away. WHERE TO REST YOUR HEAD Tops for a buddy trip is the centrally located Legends Golf Resort, which sports comfortable, affordable 2- and 3-bedroom villas, a superb practice facility, and the atmospheric, on-site Ailsa Pub, along with three terrific 18-hole tracks, Parkland, Heathland and Moorland—plus two more courses nearby. A GREAT BARGAIN Legends Golf Resort’s 4 FOUR 3 special includes four rounds of golf per person, lodging in a two-bedroom villa with full kitchen and living area, breakfast, lunch and two beverages each day. October rates begin at $227 per person, per night, based on four golfers and a four-night minimum stay. The 640-yard par-5 13th at the Dunes is unreachable in two, and out of this world. Bandon Dunes or Bust: Bandon, Ore. 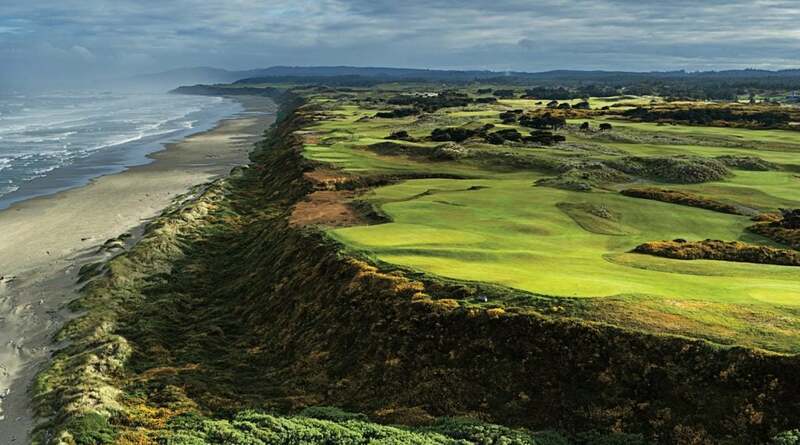 If your group is populated with reasonably proficient players who are sufficiently fit to handle the rigors of walking 36 a day in potentially wild weather, and who don’t mind somewhat taxing travel arrangements, there’s no better male-bonding experience than Bandon Dunes Golf Resort. Tackling four championship courses with caddie alongside, amid cliffs, sandhills, forests and beach, along with a brilliant par-3 layout, followed by Grandma’s Meatloaf at McKee’s Pub and capped with a game of pool, scotch and a cigar down in the Bunker Bar, is as good as it gets. For many serious sticks, Bandon is golf’s ultimate buddy trip. A drawback for some Bandon bound groups is the lack of a golf package. Still, you can find value in several ways—especially in the fall. October green fees drop $25 from September, to $250 per round for resort guests, and $30, to $295, for outside play. On November 1, prices plummet to $175 for resort guests, and on November 19 they bottom out at $100 per round. Replay rounds are similarly discounted, as are lodging rates in all categories of accommodations. Clearly, “bargain” is not quite the word for it, but for what Bandon Dunes delivers, it’s absolutely superior value. The namesake course at Bandon Dunes contains, arguably, the resort's most stunning hole: the bifurcated oceanside 16th. 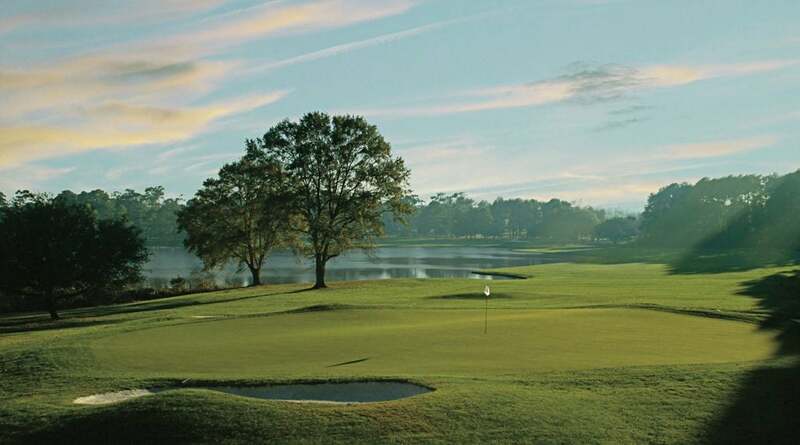 For world-class golf at muni-course prices, there’s no better value than Alabama’s Robert Trent Jones Golf Trail. True, there’s a similarity to it all, and the 26 tracks at 11 different sites can overwhelm higher-handicappers with length, sand and water, but the private-club ambience and challenge for regular Joes is seductive. The RTJ Trail also earns high marks for accessibility. Each destination is within a half hour of an interstate and within a two hour drive of another Trail complex. Here’s the skinny on the top Trail in golf. FIVE MUST-PLAY COURSES 1. Grand National (Lake), Opelika 2. Capitol Hill (Judge), Prattville 3. Cambrian Ridge (Sherling/Canyon), Greenville 4. Ross Bridge, Birmingham 5. The Shoals (Fighting Joe), Muscle Shoals BEST GOLF/LODGING COMBOS 1. Ross Bridge/Renaissance Ross Bridge, Birmingham 2. Lakewood/Grand Hotel Marriott, Point Clear 3. Magnolia Grove/The Battle House Renaissance Hotel & Spa, Mobile TOURNAMENT-TESTED TRACKS 1. Magnolia Grove (The Crossings), Mobile (LPGA Tour) 2. Capitol Hill (Senator), Prattville (LPGA Tour) 3. Ross Bridge, Birmingham (PGA Tour Champions) 4. 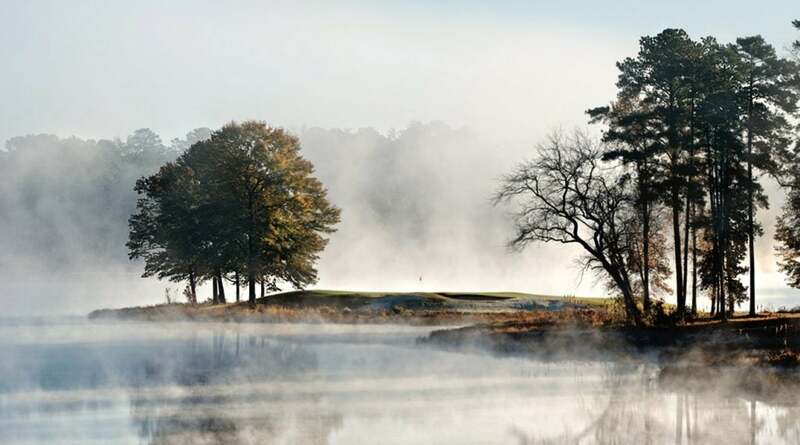 Grand National (Lake), Opelika (PGA Tour) BONUS PAR 3S Seven RTJ Golf Trail complexes feature a par-3 course, which might be the perfect buddy-trip tiebreaker. Four venues— Grand National, Hampton Cove, Magnolia Grove and Oxmoor Valley—roll out 18-hole spreads, while Cambrian Ridge, Highland Oaks and Silver Lakes offer nine holes. Rates are $18 for 18 holes, plus cart. Best of the bunch? Magnolia Grove. SIDE-TRIP BEVERAGE Nine miles from Grand National in Opelika is the campus of Auburn University, and the hub of Auburn is Toomer’s Corner. Quaff a fresh-squeezed lemonade at Toomer’s Drugs, a tradition more than 100 years old. Exhale. GET YOUR JAM ON Swampers Bar and Grille at Marriott Shoals Hotel & Spa in Muscle Shoals celebrates the area’s musical heritage—themStones, Aretha Franklin and many others have recorded here—with memorabilia and live music. A GREAT GOLF PACKAGE The Fall Swing Special includes one round at Magnolia Grove and one round at Lakewood, plus cart fees and range balls, for $148. Finding your way around RTJ Trail is a thrill, but Grand National (Lake) isn't without its challenges.